Your prom is a magical occasion and you're going to want to look your best. our prom photos will be proudly displayed on your parent's mantel for the rest of your life - so you definitely want your hair and makeup to be absolutely perfect. In order to stand apart from your friends, you might consider enlisting the aid of one of Long Island's talented professional hair stylists and makeup artists. 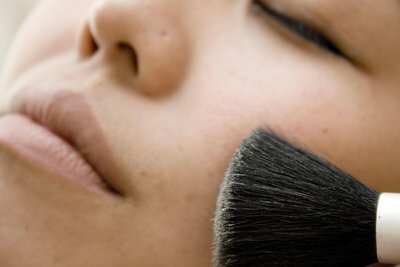 By going to one of the best hair and makeup artists in Nassau and Suffolk Counties you will find help to complete your look and guarantee you are uniquely beautiful. The list below includes a handful of Long Island's most highly rated hair and makeup professionals, as well as tanning salons, all of whom are available during prom season to help you create a stunning look. Alia Yassen Makeup Artist guarantees you an extraordinary look that will make you feel like the most beautiful girl at your prom. Cillia's European Skin Care & Day Spa combines luxurious skin and facial treatments with exceptionally talented makeup artistry which will ensure that you look like a perfect 10 on your prom night. Hollywood Tans in Deer Park offers a complete line of tanning services, include tanning beds, stand-up tans and spray tans which can give you a warm summer glow well before summer vacation begins. Beach Bum Tanning in Stony Brook will give you the all the summer color you need to bring your prom ensemble to perfection. Venues - Find ratings and reviews for prom venues on Long Island. Accessories - Find accessories to complete your prom ensemble on Long Island.